For your orientation, please see the following Porto Local Maps. For further information, click on map! - At the end of Ponte do Freixo (Freixo bridge), exit to right to Freixo. - Turn left to Rua Pinto Bessa (Pinto Bessa street), and turn left again to R. Padre António Vieira. - Follow right to R. do Heroísmo (Heroismo street), ahead till Jardim de S. Lázaro (S.Lázaro garden). - Turn right to R. D. João IV (D. João IV street), and go ahead to Padrão cross (2nd cross). - Turn left to R. de Santo Ildefonso (Santo Ildefonso street) and go ahead till Praça dos Poveiros. - Go ahead till Avenida dos Aliados (Aliados Avenue). - Turn Left and left again to change direction. - Finally, you'll find us at right on the last quarter, before the Porto City Hall. 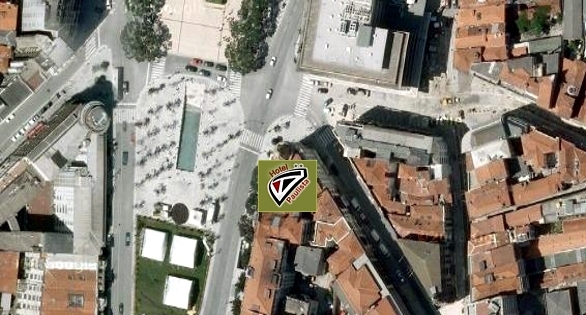 - Turn to left to R. de Camões (Camões street) till Câmara Municipal (City Hall). 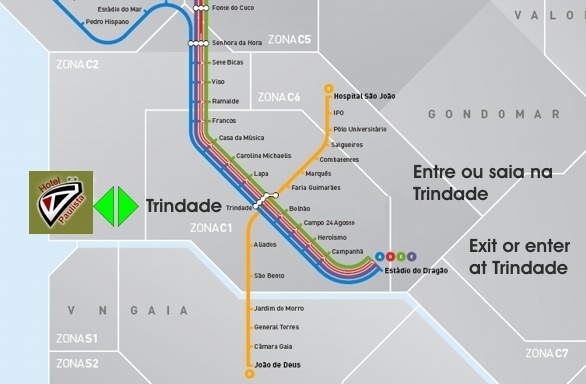 - Follow Avenida dos Aliados (Aliados Avenue), till the 2nd. traffic lights. - Turn left, and left again, to change direction.